While the biggest oil and gas producing countries in Middle-East, Russia and North America are expanding their petrochemical industry downstream towards high added value hydrocarbon products, Japan seems to investigate another route through chemical local companies building up Market Leadership on bio-plastics. The global market for bio-plastics was 640,000 tons in 2010 and is expected to increase to 3.7 million tons in 2016 (according to BCC Research, an American research firm). Based on the assumption that the demand for bio-plastics should grow 5 times in the next 5 years, some Japanese companies are anticipating on the arising demand in building up producing capacities or signing strategic partnership. Beyond all the market studies promising a bright future to the bio-plastics, some initiatives of consumer goods producers will certainly turns the demand up. 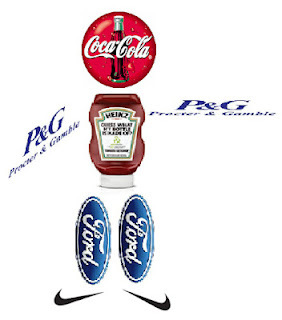 In that respect the decision made in June by Coca-Cola, Ford, Heinz, Nike and Procter & Gamble (P&G) to create the Plant PET Technology Collaborative (PTC) will have a large impact of the whole supply chain of that industry. Based on the principle experimented by Coca Cola with its PlantBottle™ the intention is to switch their source of supply from conventional hydrocarbon polymers to bio-plastic in order to reduce their carbon footprint. In the case of the green polyethylene, the sugar cane absorbs carbon dioxide while it is growing, and as a result, there are no net carbon dioxide emissions when it is burned as a waste material (i.e., it is carbon neutral). As a result, compared to oil-based polyethylene, the carbon dioxide emissions are 70% lower even when emissions from manufacturing and transportation are taken into account, and this product can contribute to reducing dependence on oil and preventing global warming. Following Coca-Cola, Ford, Heinz, Nike and Procter & Gamble (P&G) decision in favor of the green PET, some Japanese companies like Toray Industries, Showa Denko and Sojitz are already moving ahead with strategic capital expenditure in bio-plastics. Toray Industries, Inc. (Toray) in partnership with Gevo, Inc.(Gevo), a leading company in renewable chemicals and advanced biofuels, signed an offtake agreement for renewable bio-paraxylene (bioPX) produced at Gevo‘s planned pilot plant. The agreement will enable Toray to carry out pilot-scale production of fully renewable, bio-based polyethylene terephthalate (fully bio-PET), of its fibers and films for the first time in the world. Toray also plans to offer samples to its business partners, who are the end-users, in 2013 for market evaluation. Gevo has succeeded in the synthesis of bio-PX at the laboratory level utilizing conventional chemical processes. The production of bio-PET however requires a partner who is able to convert bio-PX into bio-PET. Using purified terephthalic acid (PTA) synthesized from Gevo‘s bio-PX and commercially available renewable mono ethylene glycol (MEG), Toray succeeded in lab-level PET polymerization to produce fibers and films samples in 2011. With the signing of the offtake agreement between Gevo and Toray, the companies are able to integrate the supply chain to convert bio-PX into bio-PET. Since Toray has the priority right to purchase the bio-PX produced at the pilot plant, it will be able to gain a head-start to take Market Leadership in securing scale up technology for bio-PET polymerization, fibers and films. Commercially available PET is currently produced from terephthalic acid and mono-ethylene glycol (MEG), both of which are derived from petroleum. Around 50 million tons of PET is produced worldwide annually for producing fibers, films and bottles. Moreover, PET has outstripped other polymers such as polyethylene and polypropylene in global demand. In an effort to help realize a sustainable low-carbon society, Toray is also promoting the development of bio-based materials such as poly-lactic acid (PLA). Showa Denko K.K. (SDK), at its Tatsuno Plant in Hyogo Prefecture, has succeeded in producing biodegradable polyester resin BionolleTM on a commercial scale using bio-derived succinic acid. This succinic acid is made from starches or sugars. SDK has started providing film-grade samples of this product. BionolleTM, which can be fully decomposed after use into water and carbon dioxide, has been used in compost bags and mulch films. To reduce CO2 emissions and better protect the environment, SDK has worked to use bio-derived raw materials. This means that about 50% of main raw materials forBionolleTM are now bio-derived. The ratio can be increased to about 70%. The product is being test-marketed to Northern Technologies International Corp (NTI) a U.S.-based global bio-plastics products manufacturer. By the end of this year, SDK will be able to secure the supply of 10,000-20,000 t/y of bio-derived succinic acid to meet new demand. Sojitz Planet Corporation, is a wholly-owned subsidiary of Sojitz Corporation (Sojitz) that handles synthetic resins. Sojitz Planet will sell the products in Japan and the Asia-Pacific region and aims to handle 20,000 tons annually in three years. With bio -plastic resin, the CO² emission is 70% lower than from oil-based resins. Green polyethylene is a plant-based resin that can be used primarily for plastic bags and plastic containers. Previously to green polyethylene, Sojitz and Braskem have acquired experience with butadiene, a synthetic rubber material used for automobile tires and other products, and bio-ETBE, a bio-mass fuel used as an additive to high-octane gasoline. Sojitz has invested with Odebrecht S.A., Braskem’s parent company and a leading Brazilian conglomerate, in ETH Bioenergia S.A. (ETH), one of the world’s largest makers of sugar cane based bio-ethylene. 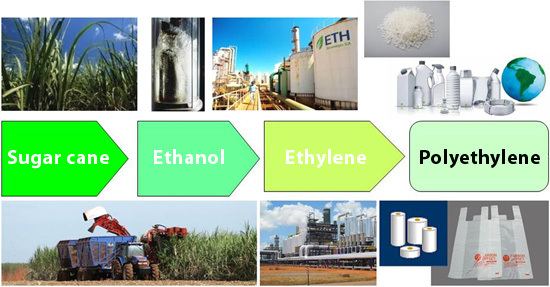 A portion of the green polyethylene produced by Braskem use bio-ethylene from ETH as a raw material, building a bio-ethylene chain. Going forward, Sojitz will develop chemical products and resins that do not rely on oil-based products through its green chemical business to contribute to preventing global warming and the creation of a sustainable society. Toray Industries, Inc. (Toray) is headquartered in Tokyo, Japan. Toray has approximately 40,000 employees with consolidated sales of $20 billion. Since then, the company has accumulated a long history of developing and producing products in the fields of organic and inorganic chemicals. Its original products consisted of general-purpose industrial gases, medical gases, and industrial chemicals. In recent years, the company has also come to provide a variety of products including high-purity gases and chemicals for the semiconductor industry. The Petrochemicals Sector produces and sells cracker products, such as ethylene and propylene, and organic chemicals derived from them, including acetyls and allyl alcohol. The Sojitz Group, centered on Sojitz Corporation, consists of 489 companies including 133 subsidiaries and affiliates in Japan and 356 overseas. Sojitz employes a total of 17,039 persons in the world. Sojitz planet Corporation was created in 2004 to develop a broad range of engineered plastics: POM, MCNYLON, PPS, FLUORINE, PA, PC, PBT, PI, PEEK etc…, and molding equipment. From this activity, Sojitz planet is booking $2 billion sales with 280 employees. Squeezed between the rocketing prices of the conventional hydrocarbon products on supply side and a fast growing market for bio-plastics on the demand side, the Japanese companies such as Toray, Showa Denko and Sojitz are exploring different ways to transform these constraints into opportunities through strategic alliance with other key players in the world like Braskem or Gevo to take Market Leadership in green plastics.